Opening hours: Typical shopping hours are Monday-Saturday 9.00-17.30. Many department stores stay open till 18.00, some till 19.00 or 20.00 on Wednesdays or Thursdays. Larger shops are often open 10.00-18.00 on Sundays. London is full of things to see and do; from famous attractions such as the London Eye, the Houses of Parliament and Big Ben, the Tower of London and the Tate Modern; to great shopping opportunities; to wide open urban green spaces and much, much more. Read on for inspiration and handy tips on the unmissable places to visit while you're in London. Many attractions on this list are free to enter; another great reason to fall in love with London. 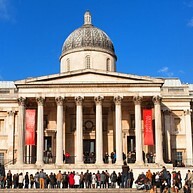 You can find hundreds of the most famous, beautiful and challenging paintings in the world at the National Gallery. Discover inspiring art by Leonardo da Vinci, Michelangelo, Titian, Rembrandt, Vermeer, Turner, Monet and Van Gogh. The Tower of London is one of the most famous fortified buildings in the world. It's also a mysterious place full of dark secrets, strange stories and historic relics. Here you can admire the priceless Crown Jewels, explore the Medieval Palace, visit the infamous Bloody Tower, and go on a tour with a Yeoman Warder to learn about the many executions that took place here. The Natural History Museum houses hundreds of amazing exhibits from the natural world in one of London's most beautiful landmark buildings. Highlights include the popular Dinosaurs gallery, the model blue whale, the Cocoon specimen centre and special events and debates in the Darwin Centre’s high-tech Attenborough Studio, including a chance to meet the scientists. The 17th century St Paul's Cathedral on Ludgate Hill in the City of London is one of the city's most iconic buildings. 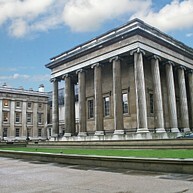 It was designed by the illustrious Sir Christopher Wren and it was the highest building in London until as late as 1962. Use the touch-screen multimedia guides, or take a guided tour, to learn about the famous interior or, if you're feeling fit, climb up to the Whispering Gallery (to try out the acoustics) and on towards the golden Gallery at the top of the dome where you'll be rewarded with amazing views across London. You can also descend into the crypt where you'll find memorials of heroes such as Admiral Lord Nelson. 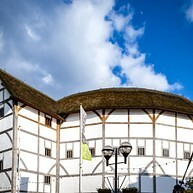 Shakespeare's Globe Theatre is a reconstruction of the original open-air theatre on the banks of the river Thames, where the playwright, William Shakespeare, first staged many of his famous plays such as Romeo and Juliet, Hamlet, and Midsummer Night’s Dream. Located just a few hundred yards from its original site, today's Globe Theatre stages classic and modern interpretations of Shakespeare's work as well as brand-new plays. And at just £5 for a standing ticket, you can't lose! The exhibition has audio guides available in English, French, German, Spanish, Italian, and Japanese. There are expert guided tours as well every 30 minutes. Located next to the London Eye along the South Bank, the SEA LIFE London Aquarium has one of Europe’s largest collections of global marine life covering more than 500 species, 14 themed areas and two million litres of water. 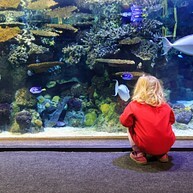 The exhibition includes favourites such as seahorses, octopus, zebra sharks and clown fish. It's also an interactive experience so you can feed the stingrays, see the sharks' feeding time, watch diving displays and go 'under the sea' in the glass tunnel walkway. 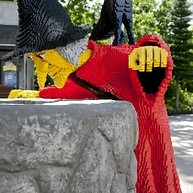 Set in 150 acres of parkland, the LEGOLAND Windsor Resort is situated just outside London. It is home to more than 55 rides, shows, attractions and workshops, all geared towards children up to 12 years of age. This theme park is a great place for a family day trip, but for fun seekers who wish to try everything the park has to offer over several days, you can stay at the Resort Hotel and enjoy its themed rooms. 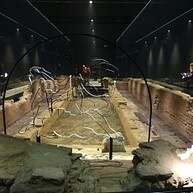 Inside the park you can get on board a Lego submarine, see London's iconic landscape in miniature form, test your skills at The Driving School, and get soaking wet on the water rides, to name just a few. Hampton Court Palace was King Henry VIII's favourite royal residence, and is full of thrilling stories and beautiful sights. Inside you can explore the Medieval Great Hall where William Shakespeare’s company once performed, as well the huge Tudor kitchens and the Haunted Gallery. The palace has much to see outdoors as well with a puzzling maze, beautiful gardens and large park to enjoy. 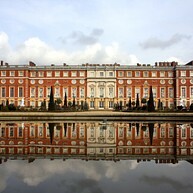 Other highlights include daily costumed tours and talks, as well as the annual Hampton Court Palace Flower Show. The National Portrait Gallery in Central London holds more than 195,000 portraits of famous men and women who have shaped British history from the 16th Century to the present day. Sitters include kings, queens, film stars, politicians, musicians and many more, painted by acclaimed artists such as Holbein, David Hockney, Cecil Beaton and Lucian Freud. The gallery's rolling calendar of exhibitions is worth investigating as well, particularly the annual BP Portrait Awards. 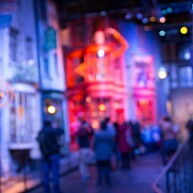 Discover the story of the world's greatest city at The Museum of London. 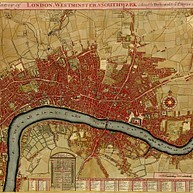 The tale begins during prehistoric London, detailing the influence of the Romans and Saxons on the city, and on towards Medieval London. Along the way you will encounter civil wars, deathly plague and rampant fires. Journey through the Galleries of Modern London, along Victorian streets, and on towards the lavish Lord Mayor's Coach display. The 105-acre WWT London Wetland Centre is a wildlife reserve on the outskirts of Central London. Here you will find plenty of rare birds, beautiful lakes, tranquil gardens and calming meadows to walk amongst and admire, as well as other natural attractions worth spotting such as a family of otters. You can also take a free, expert-guided tour, chill out at the Water's Edge Café, and watch the kids run free in the indoor and outdoor adventure areas. 221b Baker Street is the official home of the famous fictional detective Sherlock Holmes, who lived here from 1881 to 1904, according to the books written by Sir Arthur Conan Doyle. 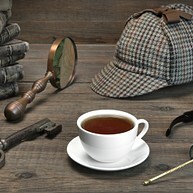 The museum features Holmes' detailed study, life-size waxworks representing scenes from Holmes and Watson's adventures, and a souvenir shop.